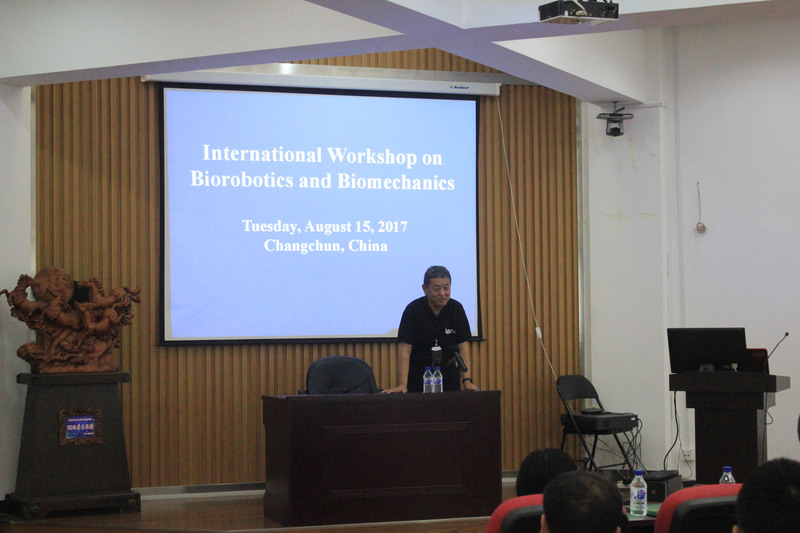 The International Workshop on Biorobotics and Biomechanics, organized by the International Society of Bionic Engineering, University of Manchester (UK), and Jilin University (China) was held in Jilin University on August 15, 2017. 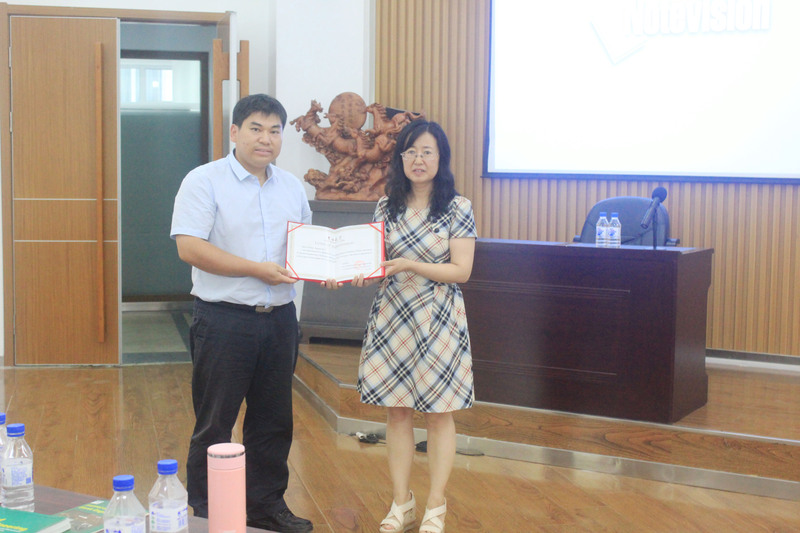 The honorary chair of the workshop was Academician Luquan REN, the standing vice-president of ISBE and professor at Jilin University. The chairs of the workshop were Prof. Jianqiao LI who is the General Secretary of ISBE, Prof. Lei REN from University of Manchester (UK), Prof. Zhiwu HAN and Prof. Qian CONG from Jilin University (China). Prof. Jianqiao LI delivered the welcome speech and gave a general introduction of ISBE at the workshop. During the workshop, Prof. Lei REN from the University of Manchester (UK), Dr. Christian Deppe from Festo Company (Germany), Dr. Lei JIANG from China North Vehicle Research Institute, Dr. Tao GENG from University of Middlesex (UK), Prof. Rui ZHANG from Jilin University and Dr. Guowu Wei from University of Salford (UK) were invited to deliver the keynote speeches. There were more than 100 scholars and students who attended the workshop. Topics on the research progress of bionic walking, bionic robots, and biomechanics were presented. 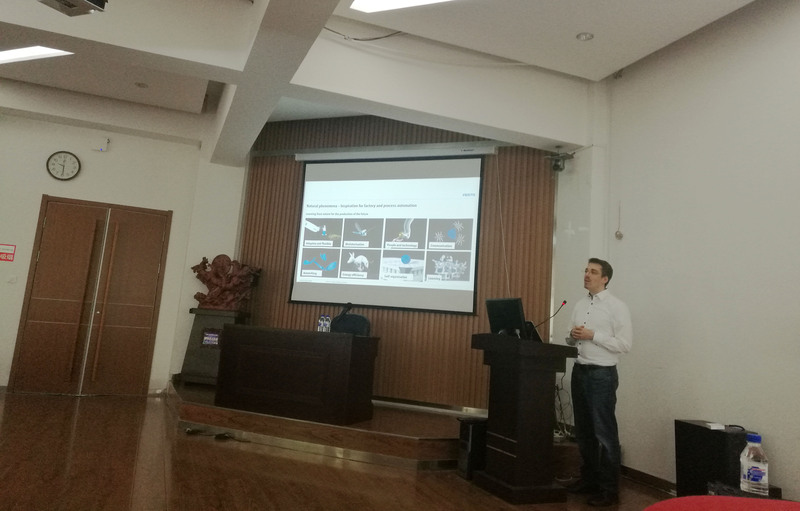 Dr. Christian Deppe made a systematic introduction of Festo bionic learning network, including bionic ants, bionic butterfly, and bionic motion robots etc. which had attracted wide interests. 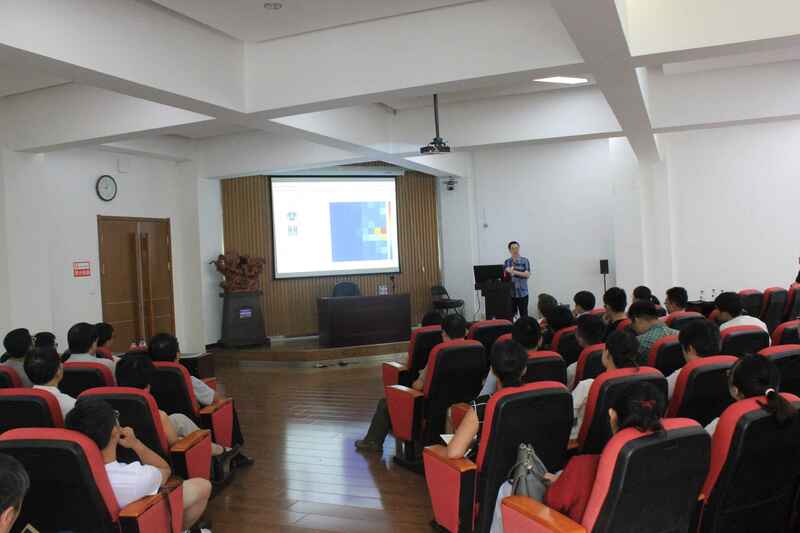 The success of this workshop not only showed the latest research progress in biorobotics and biomechanics, but also offered a platform for representatives to communicate and cooperate with each other. This should give a major push towards the development of bionic engineering worldwide.